We are celebrating Presidents during the month of February! 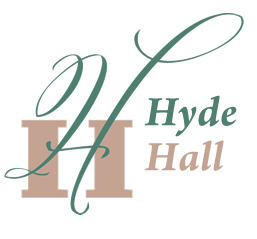 This is a special opportunity to purchase select books on presidents and vice presidents associated with Hyde Hall or Cooperstown, while supplies last. NY State Tax of 8% will be added. Prices displayed at the product links below. Click on any of the links below to view/purchase. Biography of our 8th US President, first New Yorker elected to the White House. Van Buren was the first president to visit Cooperstown while in office. Part of the American Presidents series. Third volume of the classic biography of “TR” details his post-presidential years by Pulitzer prize winning author. TR was the first president to visit Hyde Hall. The Home Front in World War II.Now classic Pulitzer Prize winning account of their complex partnership duringthe tumultuous war years. 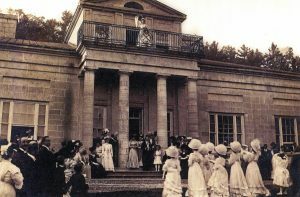 Franklin & Eleanor were guests of the Clarkes at HydeHall in August, 1930. To place an order by phone, contact Randy Lamb at (607) 547-5098, Extension #4. Local pickups by appointment only.